Delicious, Light and Fluffy Eggless Pancakes Recipe - Amazing Flavor! Are you looking for an eggless pancakes recipe that is just as fluffy and tasty as traditional pancakes? Well look no more! Light and fluffy pancakes without eggs! Due to allergies and dietary preferences of a few members of our extended family, we wanted to find an eggless pancakes recipe that didn’t sacrifice taste or texture. We combined several different ingredients together and tried a variety of recipes before finally creating this wonderfully light and fluffy recipe. Who knew pancakes without eggs could be so good! The only thing left to do is to top it with fresh fruit and pure maple syrup. Breakfast served! This medium scoop is the perfect way to make sure to get even and round pancakes every time. 1. Mix together flour, baking powder, sugar and salt in medium bowl. 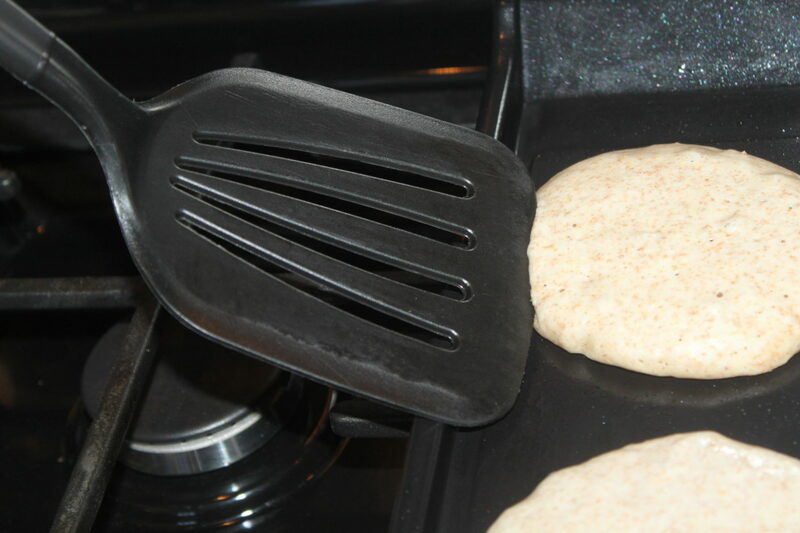 Using a wide spatula will make flipping pancakes a breeze. 2. Combine milk, oil and water in a separate bowl. 3. 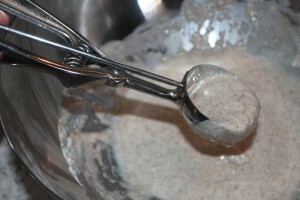 Add wet ingredients to dry ingredients. 4. Whisk just until moistened. 5. With a grill brush, lightly oil a large skillet or griddle. Heat skillet over medium-high heat or 350°F in an electric skillet/griddle. 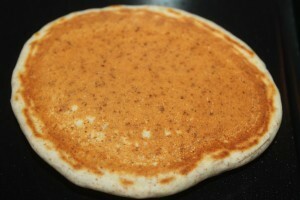 For each pancake, pour 1/4 cup of batter onto the hot griddle with a medium scoop. 6. Pancakes are ready to turn when tops are bubbly all over and a few bubbles have burst, and the edges begin to appear dry. Turn pancakes with a broad spatula. Bake until bottoms are dry and golden brown. Combine milk, oil and water in a separate bowl. With a grill brush, lightly oil a large skillet or griddle. Heat skillet over medium-high heat or 350°F in an electric skillet/griddle. 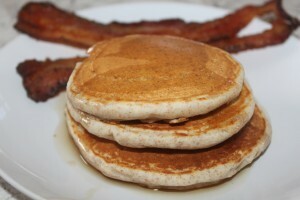 For each pancake, pour 1/4 cup of batter onto the hot griddle. Pancakes are ready to turn when tops are bubbly all over and a few bubbles have burst, and the edges begin to appear dry. Turn pancakes with a broad spatula. Bake until bottoms are brown and dry. ← How To Easily Collect Rainwater To Water Your Garden, Flowers and Landscape! So glad to find this recipe. I recently read another post about egg allergies. Did you know some people who are sensitive to chicken eggs can eat duck eggs? Apparently they are excellent in baked goods even if some folks don’t care for them as a main dish. Just a thought. I should have asked in the previous comment: what are your requirements for our sharing your recipes? I would like to share this one for Eggless Pancakes with the members of our community group of folks all journeying through the wilderness in search for more healthful ways of eating. PS: I have already worn out your recipe for strawberry jam made with honey!! Now I’m just waiting for this year’s crop of berries to come in!